Not much I'm afraid, but any finds are good. One title is named. What's up with the pink letters? Did it get washed and then blurred by it's own colour? Not sure what happened there...I have seen others like this though. Some runs of embroidered titles were plagued by poor quality dyes. These bled into the lettering. As Dale says, this is not rare and is found on P.P.C.L.I. titles. 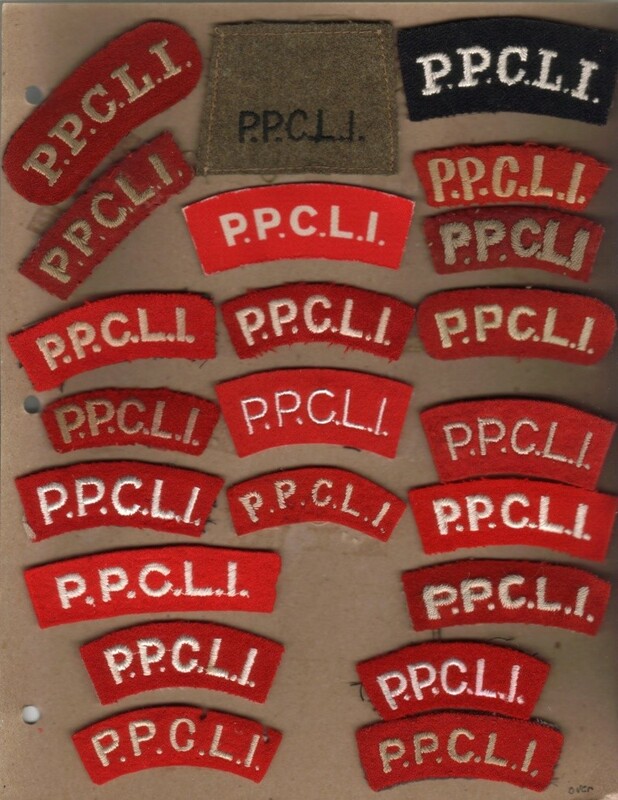 The PPCLI were the first regiment to officially have cloth shoulder titles in the Canadian army. The title was aquired in Canada before the unit went overseas in 1914. 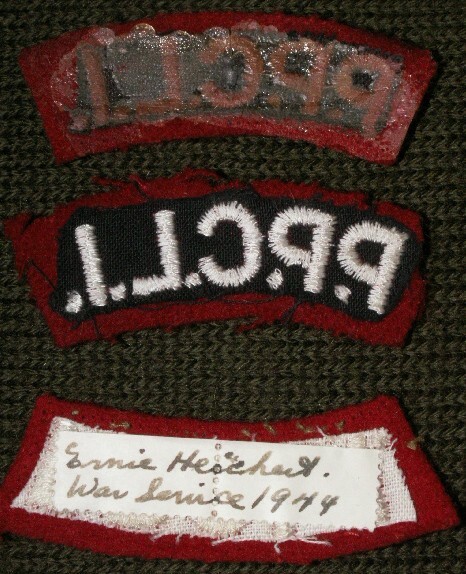 The unit had permission to wear the cloth shoulder title during the inter-war years, and wore it when the unit went overseas in 1939. Again, they were one of the first to wear cloth shoulder titles (as opposed to khaki worsted slip-ons) in the Second World War. There are many different patterns, and the unit continued to wear the titles until unification. Even then they returned to the red and white titles for the DEU and wkd in the 1970's. 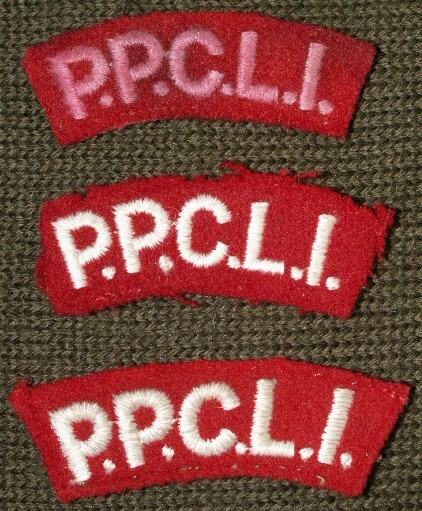 A sample of the patterns worn by the PPCLI.